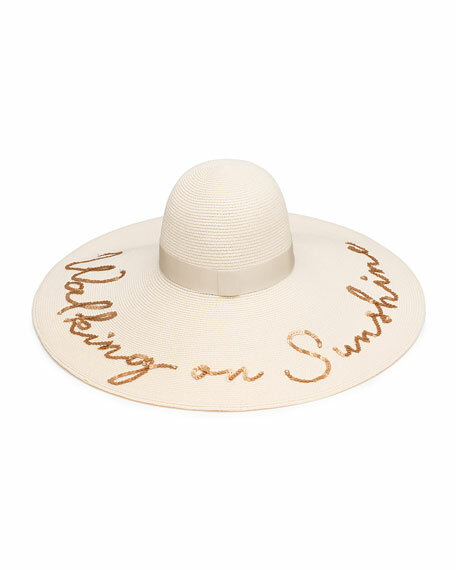 Eugenia Kim "Sunny" sun hat, featuring "Walking on Sunshine" script in sequins. Durable, man-made fibers are woven to resemble straw. Petersham ribbon hat band at break. Full, round crown 3.5"H x 7"W.
For in-store inquiries, use sku #2511129.